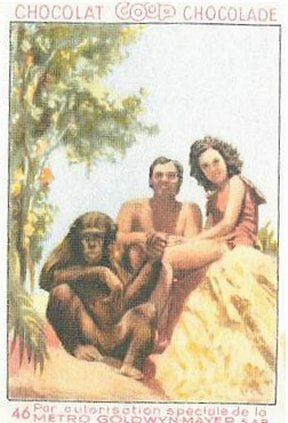 From ERBzine 0620 A young couple are killed in a plane crash in the jungle. 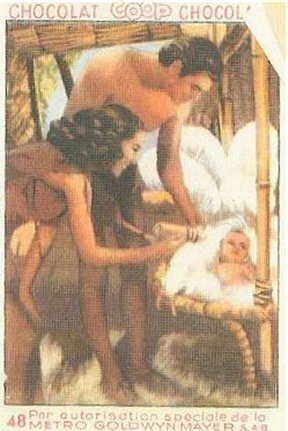 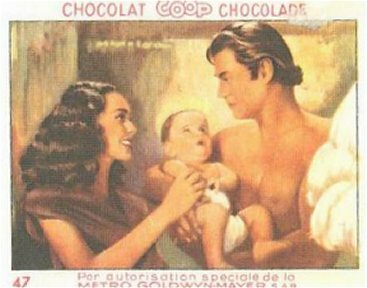 A monkey brings the infant survivor of the crash to Tarzan (Johnny Weissmuller) and Jane (Maureen O'Sullivan) who name the child, Boy. 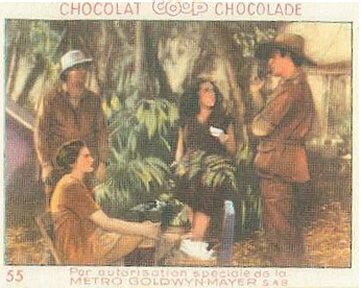 Five years later, a search party (Ian Hunter, Henry Wilcoxen, Frieda Inescort and Henry Stephenson) come looking for the child who is heir to a fortune. 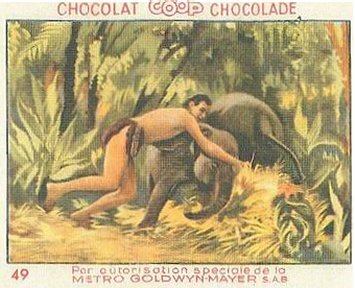 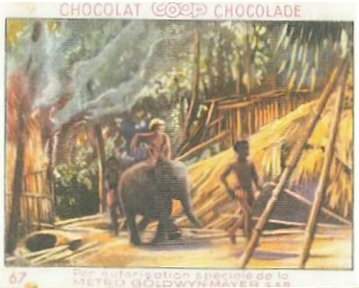 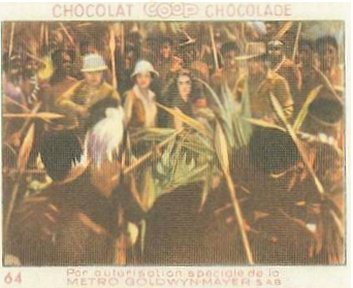 They wound an elephant after which they get into a scrape with the Gaboni tribe but Tarzan arrives to call off the natives. 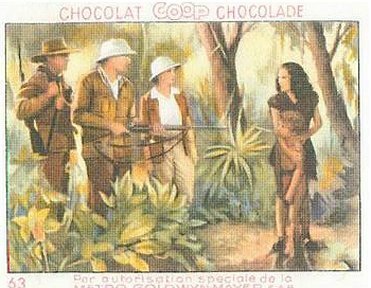 Jane cooks them a meal of ostrich egg and tells them that they buried that there were no survivors of the plane crash. 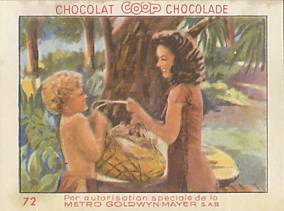 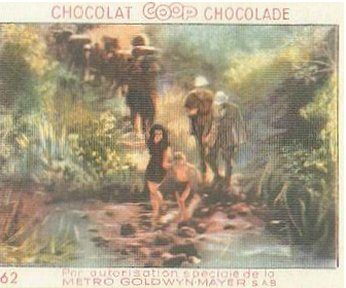 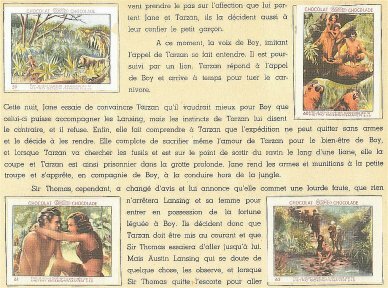 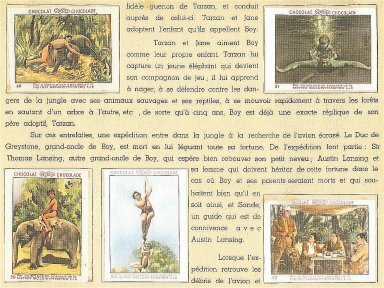 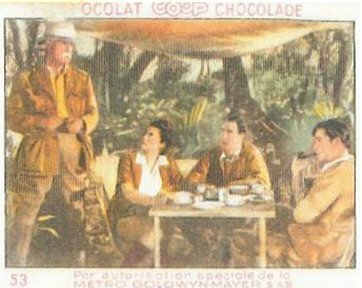 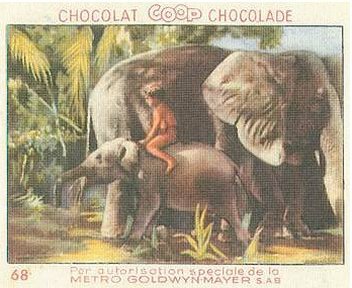 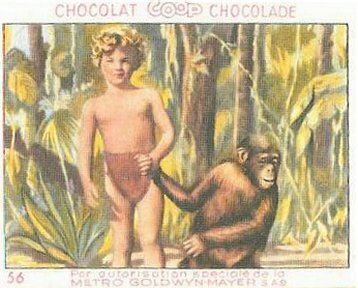 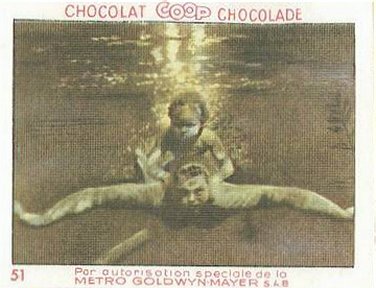 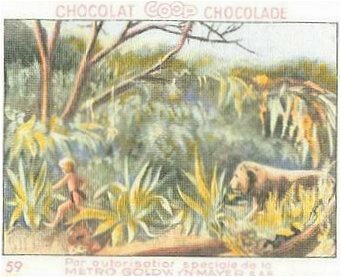 Boy appears in many of the scenes: swimming, playing with the animals, impressing the visitors and being rescued from a spider web, a waterfall and a rhino by Tarzan. 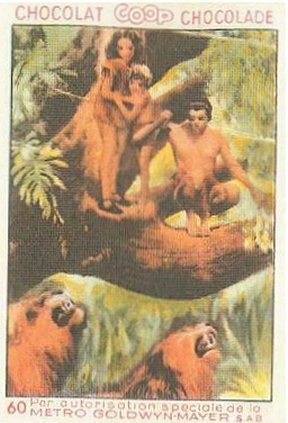 The party learn that Boy is their relative and insist on taking him back with them. 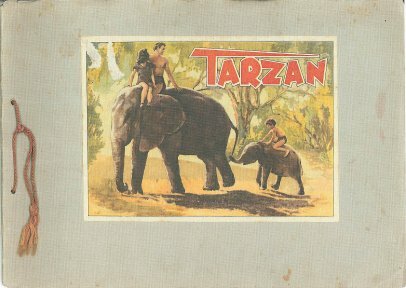 Tarzan steals their guns at night and tosses them into a pool while Cheetah awakens the party by taking their photo with a camera he has found. 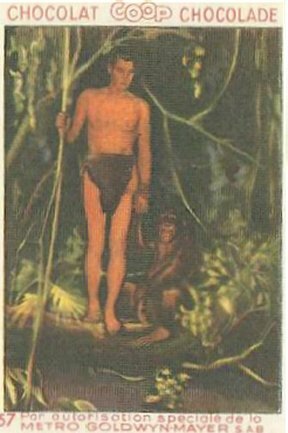 They refuse to leave without their guns so Tarzan dives for the guns but he is left stranded.. Against Tarzan's advice Jane is persuaded to help lead them out of the jungle so that they can return Boy to civilization. 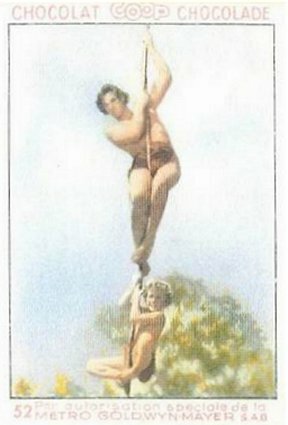 Sir Thomas, the only good guy in the party, is killed by his nephew while trying to warn Jane that she has been duped. 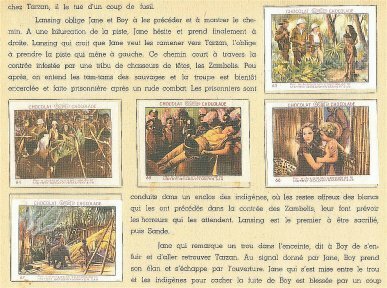 Refusing to follow the route chosen by Jane the party is then captured by the savage Zambele tribe. 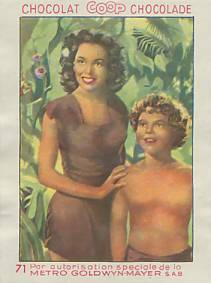 Jane helps Boy escape and he runs through many jungle obstacles to get back to Tarzan. 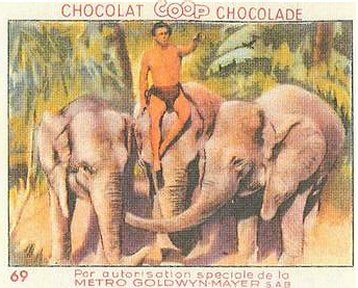 He is unsuccessful in getting a rope to Tarzan in the pool so he gets elephants to push a dead tree down to the stranded apeman. 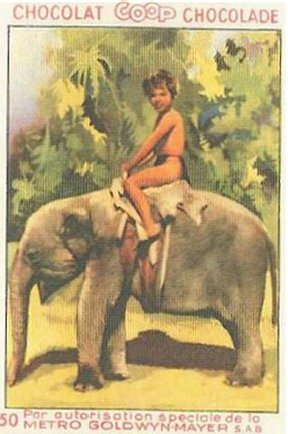 Tarzan and Boy, the great apes and an elephant herd.all race to the village to rescue the surviving members of the party. 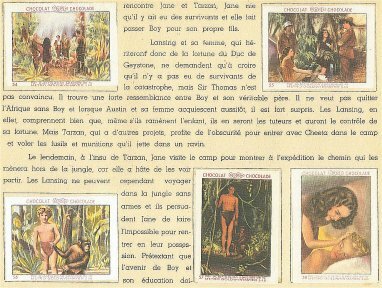 Jane has been seriously wounded by a native spear. 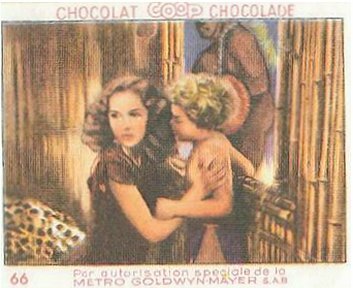 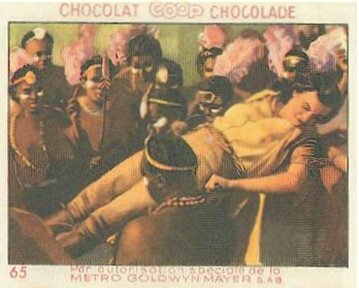 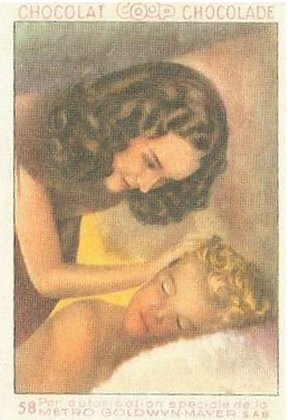 In the original script she dies from the wound but following a barrage of protests from fans... and ERB... the studio resurrected her and had her recover in Tarzan's arms. 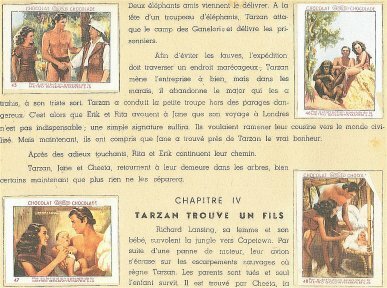 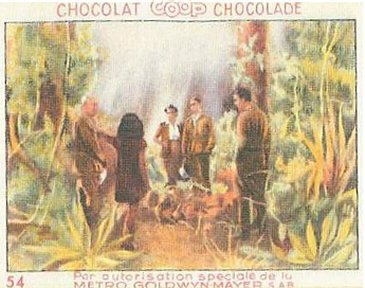 The Tarzan family return to their idyllic life in the jungle.